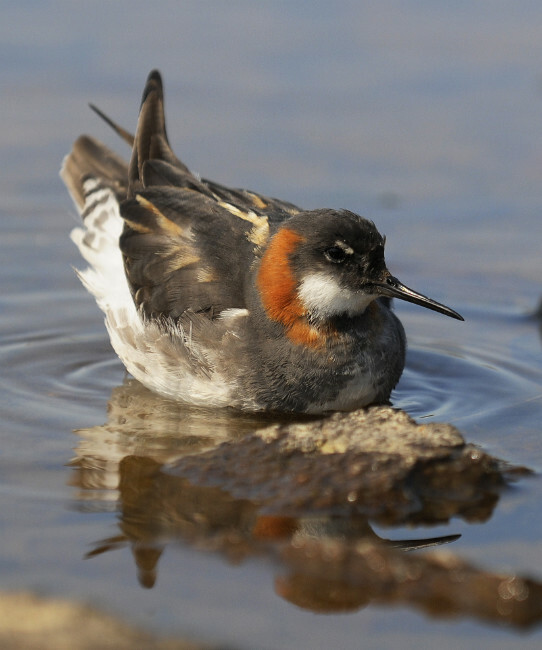 Zoom image Fetlar's red necked phalarope population have started to return from their impressive migration. The first bird was seen on the 18th and a number of further sightings have been made since then. It was discovered last year that a phalaropoe from Fetlar had migrated to the Pacific coast of South America. An amazing trip for such a smalll bird. Further birds were fitted with micro tracking devices last year and it is hoped to get further information on their migration routes this year. A BBC Springwatch crew has been in Fetlar this week looking at the phalarope project. It is expected that this programme will be broadcast next week.